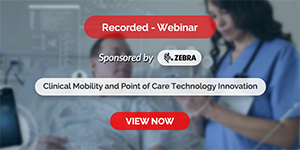 The growth in connected medical devices and mobile medical apps can boost long-term patient-engagement. New data from Juniper Research suggests that the number of Internet of Things (IoT) connected devices would be US$38.5 billion in 2020, up from US13.4 billion in 2015. The proliferation of connected devices—accounting for US$3.3 billion in 2013, and an expected US$8 billion by 2018 in the US—is revolutionising the way we approach health and well-being. It is also evident that several software, service, and product companies are showing interest in connected devices with a view to make their primary product or service more attainable. Connected devices have been helping patients and healthcare professionals in various forms. Tracking health information on the go is vital to view health records, lab results, and treatment plan whenever required. Usage of smart devices helps healthcare professionals by delivering valuable patient data that in turn helps patient follow-up interactions. This reduces the dependence on direct patientphysician interaction and patients can seek care when needed. Numerous applications are being developed to help bring patients and healthcare professionals closer and thus make healthcare more effective and accessible. The development of applications or connected devices in conjunction with educating and training the healthcare professionals would make them more efficient and successful. However, the challenge lies in how well the healthcare providers adopt these. Nevertheless, emergence of connected mobile devices does pose security challenges. The primary issue would be securing and maintaining patient data and avoiding misuse. Regulating authorities will continue to work for the adoption of modern technology and applications. The key to making connected healthcare more successful lies in healthcare and technology companies working in tandem. In the cover story Gurrit K Sethi, CEO, Canta Health, India says that connected devices promise to be the solution in conjunction with analytical tools that can preempt and aid better the comprehensive results and health scores.